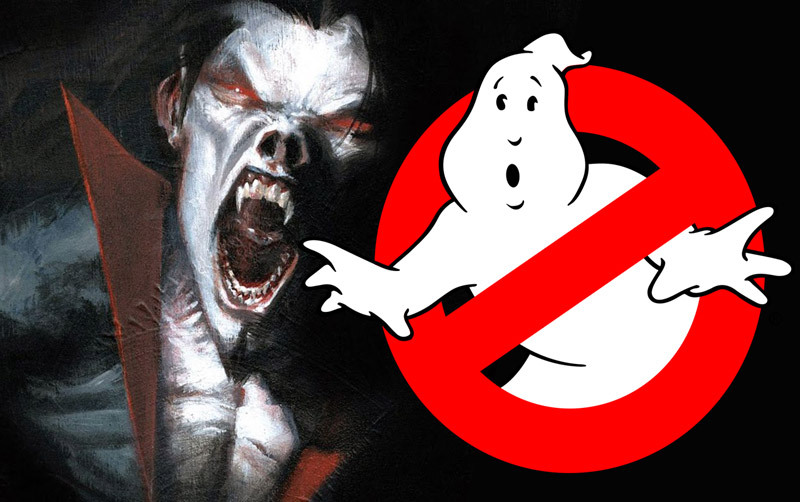 Deadline is reporting that Sony Pictures has announced both Morbius and Ghostbusters 3 release dates during prime season of summer 2020. The currently untitled Ghostbusters film (which will ignore the 2016 reboot and directly follow Ghostbusters 1 & 2) will drop on July 10, 2020, while the Spider-Man spinoff Morbius (following in the footsteps of Venom) bows just three weeks later on July 31, 2020. Both summer dates are currently without direct competition, although the month will also see Minions 2, an untitled Christopher Nolan film and Disney’s Jungle Cruise in play. Venom 2 is now the unofficial most likely contender for Sony’s other slot for a Marvel film in development, which is October 2, 2020. Oscar winner Jared Leto (Suicide Squad, Dallas Buyers Club) will topline Morbius as the living vampire of the title, with Adria Arjona (Pacific Rim: Uprising, Good Omens) and Matt Smith (The Crown,Doctor Who) co-starring. Academy Award nominee Jason Reitman (Up in the Air, Juno) will be directing and co-writing the new Ghostbusters movie, taking up the mantle from his father Ivan Reitman who directed the original Ghostbusters (1984) and Ghostbusters 2 (1989). The younger Reitman also had a memorable cameo in the second film. The screenplay will be co-written by Jason Reitman and Gil Kenan (Monster House, Poltergeist), with an aim to begin production later this year. While it is currently unknown who of the surviving core Ghostbusters cast (Bill Murray, Dan Aykroyd, Ernie Hudson, Sigourney Weaver, Annie Potts, Rick Moranis) will return, it has been reported that Reitman is looking to cast four teen actors (two boys and two girls) in lead roles to tackle supernatural baddies. The post Sony Sets Morbius and Ghostbusters 3 Release Dates appeared first on ComingSoon.net.